In late November 1941, the most respected authority on materials relating to Texas visited Baylor University’s Texas Collection as part of his duties as a member of the McGregor Fund Committee. Thomas W. Streeter applauded The Texas Collection’s holdings in a letter to Guy B. Harrison and generously donated several items from his personal collection to the library. 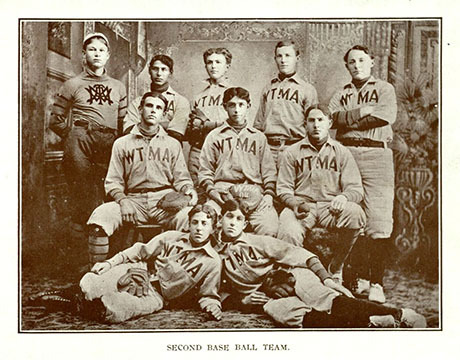 Thomas Streeter was a successful businessman from the Northeast who harbored an interest in the collecting of rare materials relating to American history. His business ventures took him to Texas, which he utilized as an opportunity to add maps, broadsides, and various other items to his collection. By the end of his life, Streeter had assembled the largest known private collection of Texana. Streeter meticulously compiled and published his Bibliography of Texas 1795-1845 in three volumes between 1955 and 1960. 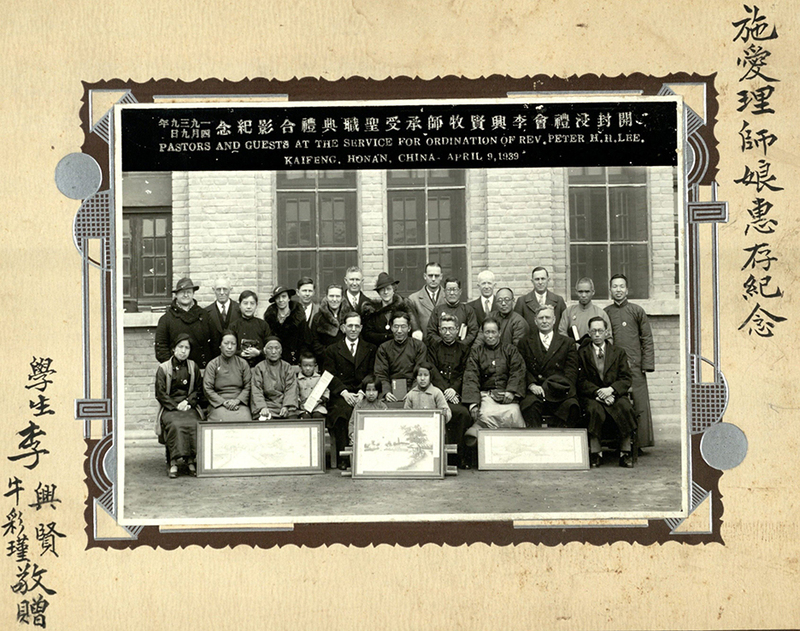 The work contained more than 1,600 entries including maps, novels, and musical scores along with pamphlets and government documents. His bibliography is widely considered the foremost authority on early Texas imprints and The Texas Collection owns many of the items he included. Five of these items came from Streeter personally in 1941 after his visit to The Texas Collection. He came to Waco as a representative of the McGregor Plan, a program Baylor University participated in throughout the late 1930s and early 1940s. The program, founded by philanthropist and bibliophile Tracy W. McGregor, assisted libraries not located near major institutions to purchase rare books they would otherwise not be able to access. The school paid $500 each year and the McGregor Plan matched their funds and acted as the go-between for the schools and rare book dealers. Streeter served as a member of the committee which administrated the program after McGregor’s death in 1936. 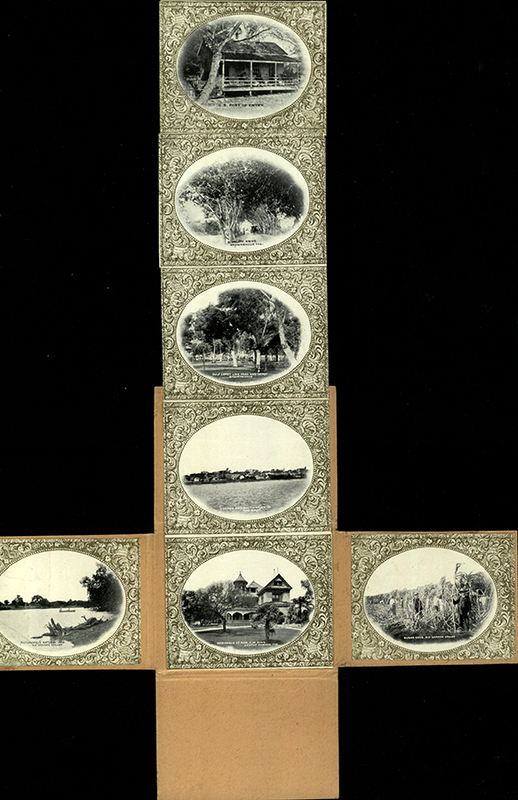 The Texas Collection acquired significant rare Texas materials through the library’s participation in the McGregor Plan. After his visit, Streeter sent several items he felt would fill in the gaps he perceived in The Texas Collection’s holdings. 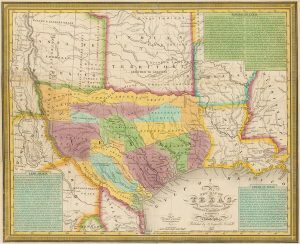 He donated an 1836 map of Texas entitled “New Map of Texas with the Contiguous American and Mexican States.” The map, published by S. Mitchell, included boxes of text containing information on the general state of Texas, its land grants, and rivers. 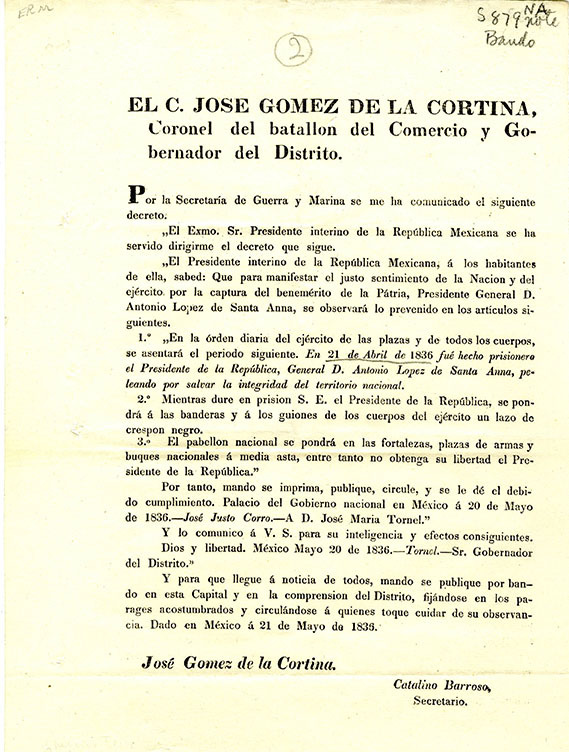 Streeter also donated a pamphlet from the Secretary of the Treasury of the Republic of Texas to President Houston and a Mexican imprint detailing financial transactions after the war with Texas. 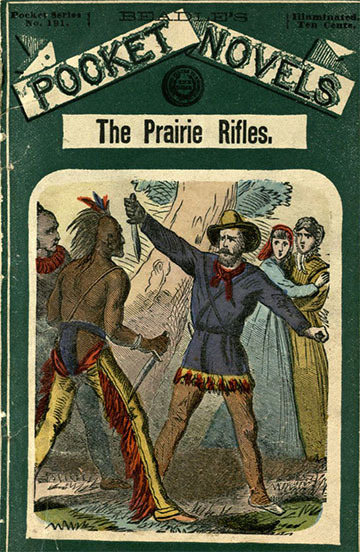 Streeter included a pamphlet, “Lecture on the Subject of Re-annexing Texas to the United States,” delivered in New Bedford, Massachusetts in 1845. 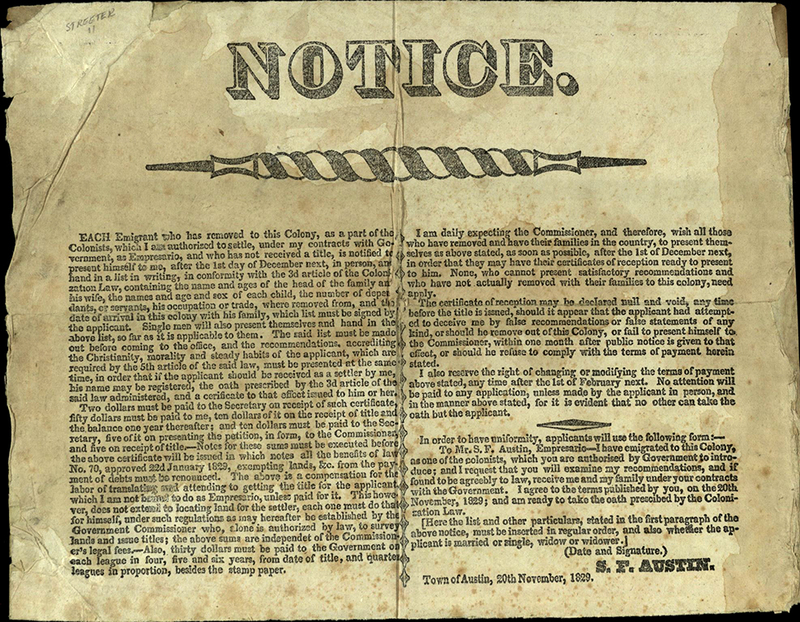 This item gives a well-reasoned argument in favor of annexation from a northern perspective and is unique because most northerners opposed the annexation of Texas as a slave state into the Union. 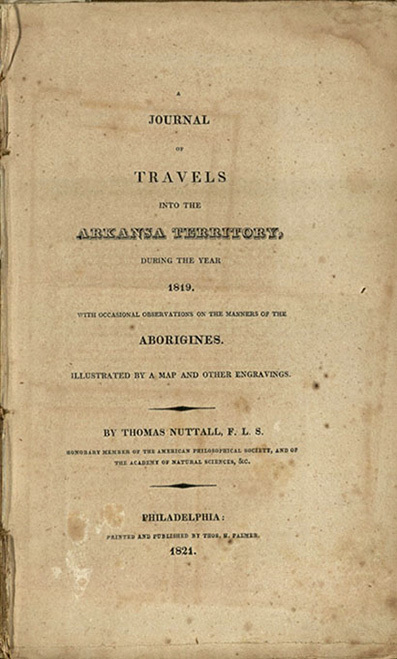 The Baylor Lariat identified the last item, Thomas Nuttall’s Journal of Travels into the Arkansas Territory, as the most valuable in the donation. 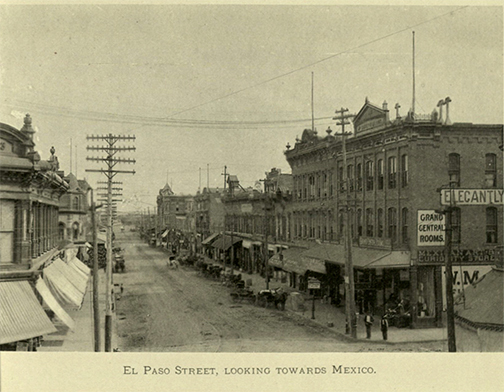 Even though the work did not directly mention Texas, Streeter still felt it was worthwhile in its description of the territory now adjoining Texas. Although Streeter did not publish his famed Bibliography of Texas for several more years, his visit to Waco and personal donation remain an important part of the story of The Texas Collection. 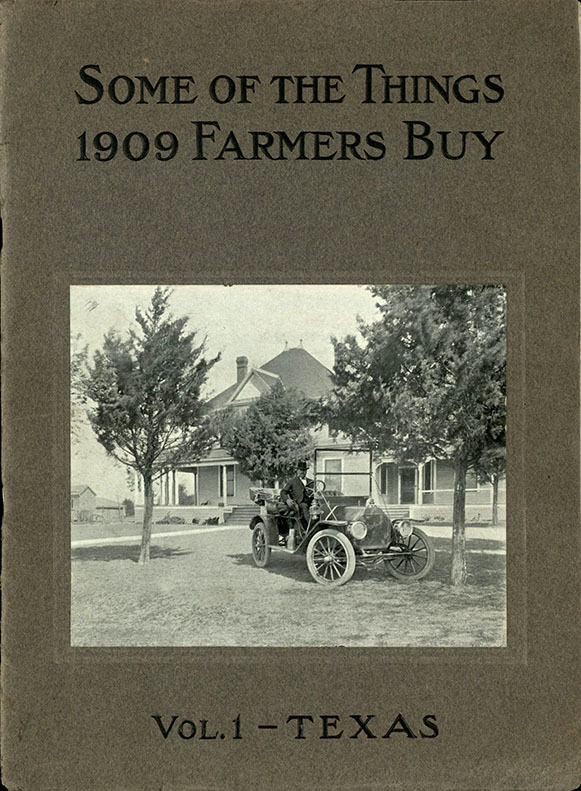 The library continues to purchase Streeter items today and hopes to enlarge its holdings of these rare items in the years ahead. Streeter, Ruth Cheney. “Streeter, Thomas Winthrop.” Handbook of Texas Online, accessed January 26, 2017, http://www.tshaonline.org/handbook/online/articles/fst73. Streeter, Thomas W. Bibliography of Texas 1795-1845. Portland, ME: Anthoensen Press, 1955. 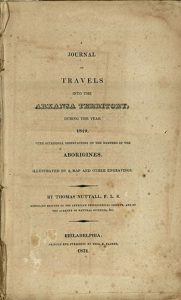 Reprinted, revised and enlarged by Archibald Hanna with a guide to the microfilm collection Texas as Province and Republic: 1795-1845. Woodbridge, CT: Research Publications, Inc., 1983.